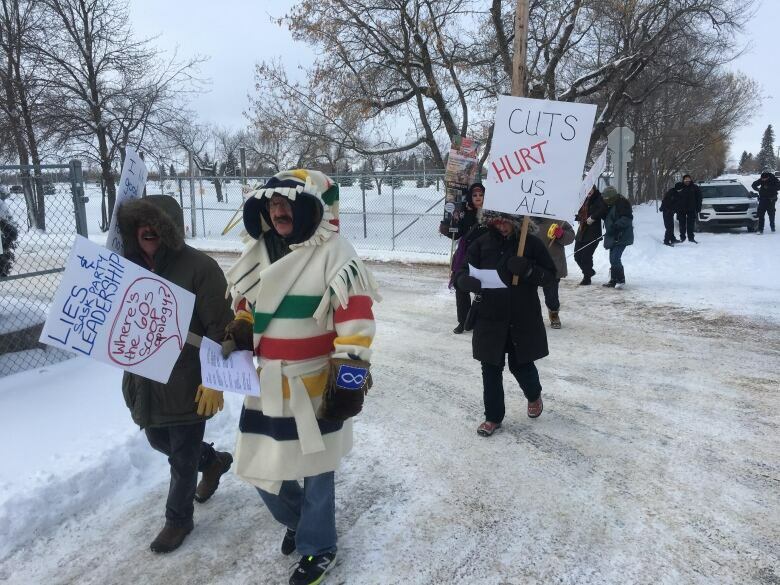 Dozens of protesters showed up at the Sask. Party convention to let the party and leadership hopefuls know the austerity measures of last spring’s budget had not been forgotten. Dozens of protesters showed up at the Sask. Party convention to let the party and leadership hopefuls know the austerity measures of last spring's budget had not been forgotten. 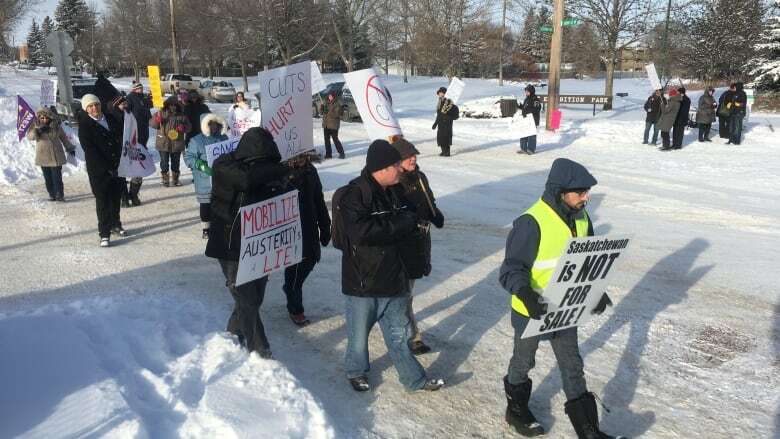 "We've all been hurt; austerity hurts the poorest of the poor," said Cindy Hanson, a university professor, who noted people had lost jobs, inflation and crime continued to rise, and educational institutions, including post-secondary education, were hurting from cuts. "Saskatchewan is not a better place than it was a year ago." Robert Clipperton, a retired teacher and former civil servant, said people need to remind the Sask. Party that government decisions have lasting consequences. "I think it's important that they realize the damages they're doing with the cuts is permanent," he said. "And they should expect the pushback on those cuts is also something that's going to last for a long time." He expressed doubt that the selection of a new leader would result in any change, given that all the leadership contenders were part of the premier's inner circle. "I don't have any great faith that we're going to get much change, no matter who's elected," he said. "There's some fear that things could get worse but I'm not picking least favourites here."